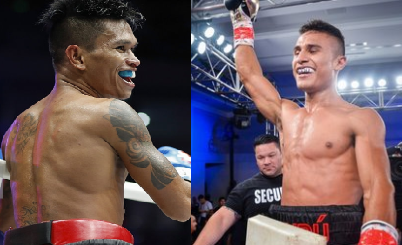 Filipino two division world champion John Riel Casimero of Ormoc City, Leyte, Philippines is set to face the hard hitting Mexican Ricardo Espinoza Franco on April 20, 2019 for the vacant World Boxing Organisation International Bantamweight Title at the Dignity Health Sports Park , Carson in USA. 30 years old Casimero entering this bout with a record of 26W-4L with 17 victories by way of KO's and world rated no. 10 in the bantamweight division. Casimero defeated by Jonas Sultan in 2017 but cameback with 2 knockout wins over Jose Pech and Kenya Yamashita. Casimero will try to back his championship form and if he wins, big fights surely awaits and possible world title shot. On the other hand, 21 years old Ricardo Espinoza Franco coming to this bout with an impressive record of 23W-2L with 20 big wins by way of KO's. The Mexican is currently world rated no. 27 in the same weight division of Casimero and he is coming off a 10 consecutive KO victories, including his last fight over the Panamanian boxer Ricardo Nunez. This event is promoted by TGB Promotions of Tom Brown and to be televise via USA Fox.